Measuring muscle mass is an important step in detecting sarcopenia. The evaluation of sarcopenia is also important for kidney transplant recipients. Methods for estimating muscle mass have been established using computed tomography or magnetic resonance imaging, which are considered the gold standards. But these methods are invasive and costly, and there is a need for a more practical and simple method using blood samples from kidney transplant recipients. The study population was 62 patients who underwent kidney transplantation at Kansai Medical University Hospital, and were evaluated from August to October 2017. Muscle mass was measured using dual-energy X-ray absorptiometry. Serum creatinine and cystatin C levels were measured by immunoassay. We analyzed 62 transplant recipients who met the inclusion criteria (20 females and 42 males, mean age of 45.6 ± 12.7 years). 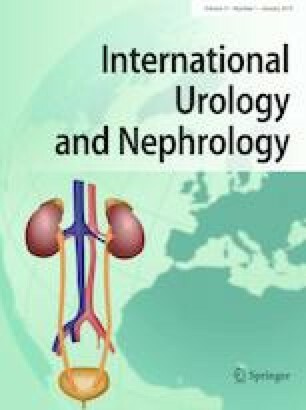 The creatinine/cystatin C ratio in the male group was > 1, whereas the creatinine/cystatin C ratio in the female group was < 1. Muscle mass was significantly larger in the male group than the female group. There was a significant positive correlation between the skeletal muscle index and creatinine/cystatin C ratio in the male (r = 0.553; p < 0.001) and female groups (r = 0.675; p < 0.001). The creatinine/cystatin C ratio is appropriate for evaluating muscle mass in kidney transplant recipients. This study was supported by Mitsui Life Social Welfare Foundation. We thank Charles Allan, PhD, from Edanz Group (http://www.edanzediting.com/ac) for editing a draft of this manuscript. The Institutional Review Board of Kansai Medical University (IRB approval number: H150926) approved the study protocol, which was performed in accordance with the Declaration of Helsinki. This study is registered with the University Hospital Medical Information Network (ID: UMIN000019153).